Code 7 Blog - Still using XP & Internet Explorer 8? Still using XP & Internet Explorer 8? Cast your minds back to October 2001. Maybe you were, like me, sat at home watching Bob the Builder tear up SM:TV Live with his seminal version of Mambo No 5? Perhaps you were confusedly fiddling with your 1st gen Apple iPod wondering how on earth all that music could be stored in one place? It wasn't that long ago that you were carrying around a portable CD player the size of Alan Partridge's Travel Tavern dinner plate. Were you playing Snake on your indestructible Nokia 3310? I can guarantee that you weren't vacantly staring at Facebook, Twitter or Instagram. Zuckerberg was still at High School, while Dorsey, Williams, Stone and Glass (Twitter's creators, not a Cornish firm of solicitors) were still 5 years away from launching the microblogging site. 'Social Media' was yet to take the world by storm. October 2001 was the date that Windows XP was launched, Microsoft's personal computer operating system specifically intended for mainstream consumer use. It's fair to say that XP was pretty state of the art, though not without the inevitable teething problems, but now, in technological terms, it might as well have happened in the Mesoproterozoic era. 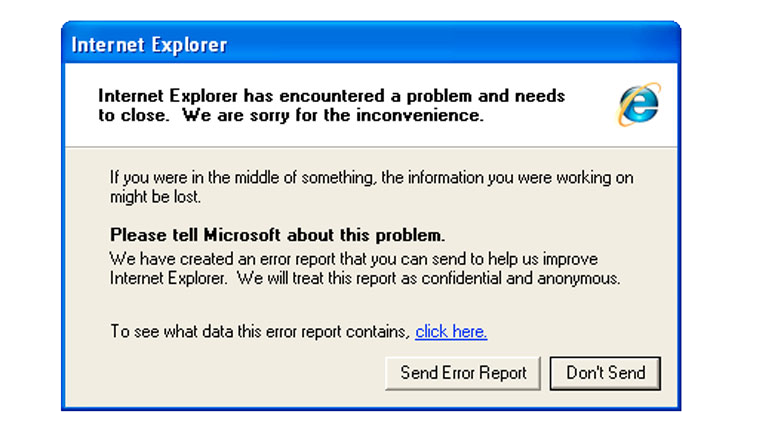 IE8 is the last Microsoft browser to run on Windows XP and users are unable to upgrade to any version higher. 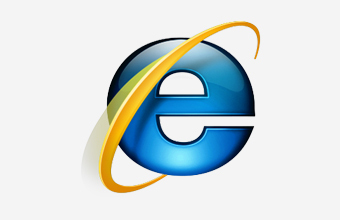 It seems as though we've been reading about the imminent death of IE8 continuously now for nearly 2 years; never more so since they announced their intention to withdraw support for Windows XP in April of 2014. Whilst Microsoft did not directly state their intention to also withdraw support for IE8 at the same time it is clear from their statement that this is a distinct possibility in the near future. “Office 365 will no longer support Internet Explorer 8 after 8 April 2014"
"Modern versions of Internet Explorer offer faster web browsing, integrated spell-checking, improved security, and more. Internet Explorer 8 users will not be blocked from connecting to Office 365 after 8 April 2014; however, Internet Explorer 8 users should expect slower performance with Office 365’s Outlook Web App and other Office Web Apps"
Now, whilst Josef Richter's famous Internet Explorer 8 Countdown is perhaps a little out of date (Statcounter has IE8's global market share at just 4.31%), there is no denying that the death knell may now not be too far away. Officially, Microsoft will continue with security updates for IE8 until 2020 when support for Windows 7 is withdrawn which means that theoretically front end developers will have to deal with IE8's unique anomalies for another 6 years. Can we really expect them to continue to cope with font rendering issues, max-width image bugs and FOUC instances for 6 more years? One of the issues we see regularly with IE8 is that it doesn't support HTML5 video, instead depending on Flash. Conversely, Apple doesn't support Flash on their iPhones or iPads. From a development point of view, particularly in the responsive era, this means it's going to take longer to build and subsequently it's going to cost more. It's not simply just down to cost and time though, some developers are also choosing not to include certain features as they know how difficult it will be to implement in this ancient browser. As Richter told Computerworld in 2013 - "It's not about the time itself, it's more about limiting the features available to users. If there is a super-cool feature that is super-useful for users, but 20% of browsers don't use it, many companies [with websites or apps] just don't try to implement it at all, because they know at the very early stage that it would mean additional development [and] cost, hacky workarounds, making the app potentially unstable, and so on." In terms of our own approach there are numerous reasons why we no longer support IE8. All companies that accept any form of payment, whether it be debit/credit cards, point of sale, pre-paid cards or other forms of payment, through their websites will be required by law to comply with the Payment Card Industry Data Security Standard (PCI-DSS). Given that Microsoft will no longer providing security patches, this is a major problem. Google stopped supporting IE8 in 2012. Any user now attempting to access Google Apps via IE8 will receive an automated message advising them to upgrade their browser. Joomla's current release cycle (3.x) still supports IE8 but with a push for a leaner, faster core we would hope the 4.x cycle will drop it, as 3.x did with IE7. Drupal, the 3rd largest CMS provider, has also dropped its support for IE8 citing coding issues and low usage statistics at the heart of its decision to do so. jQuery 2.0 has dropped support for IE6, 7 and 8. Having leaner neater code, improving sites performance and having faster load times is a major factor for us. With all these issues (and more) in mind, and with the interests of our clients paramount, we have decided to end support for IE8. Many of the internet's biggest players have already done the same and we feel that our developers time would be better spent doing what they do best, creating eye catching, user focussed, responsive web designs, rather than spending endless days (and sleepless nights) creating workarounds for a neanderthal browser. We recommend a modern and mobile first approach. It's important for us as developers to push the boundaries, embracing advancement and gently encouraging our clients to follow us on our technological adventures. We're already seeing messages advising users to update their browsers and we hope that by encouraging our clients to follow suit, IE8 will be consigned to the back of the kitchen drawer with your disused Motorola flip phone, an old S-Club 7 CD and an instruction manual for a Matsui 4 head Nicam stereo VCR.